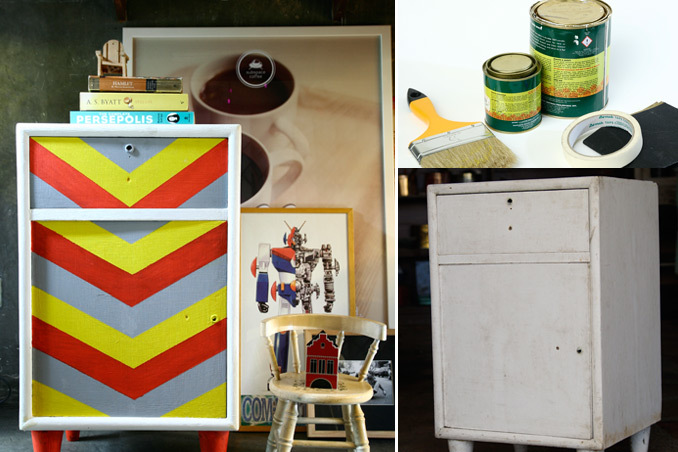 Transform your vintage side table into a contemporary piece by painting it! Use the masking technique to block off sections of the side table rather than trying to paint around the areas. Learn how to decorate your side table with these simple steps. Words and Styling by Tala Singson. Photographed by Jun Pinzon. Read the original article February 2014 issue of Real Living Magazine. Download your digital copy of Real Living on the Real Living App now! Log on to summitnewsstand.com.ph/real-living for more details.